Transcript of Opening Reflections delivered at The Community House of Birmingham, Michigan at the 27th Annual Martin Luther King Jr. Celebration entitled: THE DREAM: HOW DO WE LIVE IT? HOW CAN WE WORK TOGETHER TO MOVE FORWARD? Good morning friends, family, and neighbors. My name is Matthew Schmitt, and I am humbled and grateful to be asked to open our time together on such an important day. I grew up just a mile from here, graduated from Groves High School, and currently live in Pingree Park on Detroit’s Eastside where Darcie and I are raising our two daughters within the context of a beautifully complex and resilient community. When I consider the context of our gathering today, the Dream, how do we live it, how can we work together to move forward, I find myself wondering if part of the challenge is to consistently practice waking ourselves up to more than Dr. King’s “I Have A Dream” speech. Many of you may have portions of it memorized, the epic and soaring call to action that, you may recall, he actually practiced first here in downtown Detroit about two months before the historic March on Washington for Jobs and Freedom. You will undoubtedly hear excerpts of it throughout the day on the radio, the news, (even in wildly inappropriate and shameful ways yesterday) and that’s because it is indeed brilliant and inspiring. But I think, sometimes, what makes these ideas so hard to live out, is that we actually get stuck in the dream, a cloudy and hazy space that is not fully in touch with reality because it’s only part of the story. Let’s face it, Dr. Martin Luther King was not shot to death over articulating a dream. He was boldly speaking truth to power. Calling out individuals who created and supported policies and the systems of our society that heavily favored people who look like me over people who looked like Dr. King. And those bravely organized efforts were succeeding in bringing this truth to the light of day, ensuring that the reality of the injustice was made clear and unavoidable through boycotts and demonstrations that exerted economic pressures on those who were all too comfortable with the status quo. This was waking the rest of the world up to the injustices suffered too long by black people. Now, as important as it’s ever been: we must ask how far have we actually come? Another way to ask: Have we dismantled the systems that promote some people as inherently more valuable than others? Or do we still tend to prefer the absence of tension, which King calls a “negative peace,” instead of the presence of justice, which he describes as the only real peace. 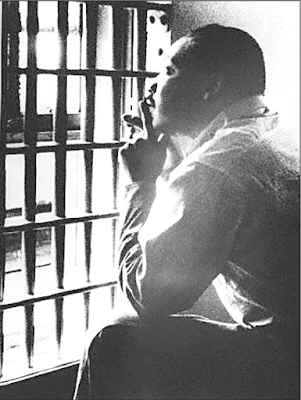 During some of my coursework at Fuller Theological Seminary in California, we looked at Dr. King’s Letter From A Birmingham Jail in the context of studying prophetic texts. Now, of course, I need to make it clear here, that we’re talking about Birmingham, Alabama. Anyway, our professor taught that prophetic writings were not exactly predictions of what would happen in the future. Rather, the prophets in ancient sacred texts were often marginalized people who believed firmly in the mandates and promises of the scriptures, and were unafraid to share their oftentimes harsh warnings with the broader society. In this light, Dr. King's writings from inside a cell certainly marched in step with this rich and controversial history. The letter was a response to a statement issued by eight white religious leaders who had publicly criticized Dr. King for engaging in the “illegal” activity of demonstrating against segregation. In looking over Dr. King’s words again to prepare for this morning, I was struck nearly breathless at how much it felt like this letter could’ve been written only yesterday. My friends, I must say to you that we have not made a single gain in civil rights without determined legal and nonviolent pressure. 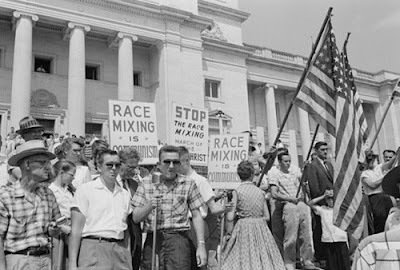 History is the long and tragic story of the fact that privileged groups seldom give up their privileges voluntarily. What might Dr. King have to say about today’s rhetoric labeling economic refugees and asylum seekers as dangerous criminals seeking to harm and destroy American citizens, when the vast majority that I’ve met in Aqua Prieta and Nogales along Arizona’s border are farmers and families with children. They’ve asked me why Americans are so afraid of them. 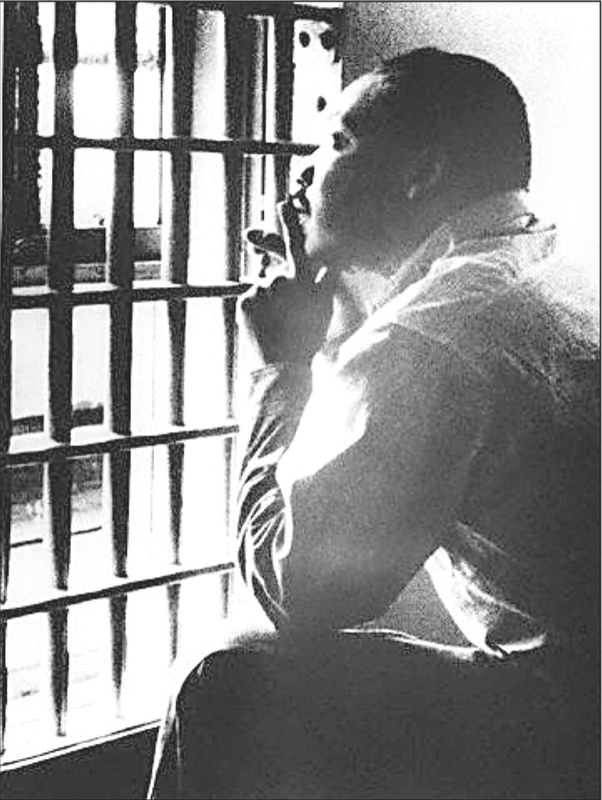 King lamented, “I wish you had commended the demonstrators of Birmingham for their sublime courage, their willingness to suffer, and their amazing discipline in the midst of the most inhumane provocation” and I wonder how might he have celebrated the bravery of the 12 year-olds a few years ago in Ferguson who gathered peacefully to promote more equity in how communities are policed, even amidst being tear-gassed. Have we adequately celebrated these young people? When he wrote: Freedom is never voluntarily given by the oppressor, it must be demanded by the oppressed. And that the word “wait” has almost always meant “never.” I find myself wondering how I might apply this wisdom in conversations with Detroit neighbors who are still waiting for the loan to fix their roof, and waiting for car insurance to be less expensive than 2 mortgages. Dr. King writes about being gravely disappointed with white moderates who are more devoted to order than justice. This echoed with my years spent as a non-profit ministry director in Los Angeles, hosting groups on mission trips from all around the country, coming to assist with relief efforts for the nation’s largest homeless population. Early in my time as director, when we focused on compassion, the mission trip participants (who were mostly middle to upper class white, our European descended groups), felt good about themselves, good about having done something to alleviate their tension with having more than others. But when we started making correlations to systemic realities that dug into what might be needed to truly bring racial and socio-economic justice, they often pushed back: why are you talking about race? Why are you talking about injustice? We were just here to serve and volunteer? We didn’t cause any of these people’s problems! I, too, found myself very disappointed with the pious self-righteousness of these groups, or what I started referring to as “Whiteousness” after an activist friend shared the word with me. I mean, what good was service if you were only doing it to feel good about yourself but were not willing to pay closer attention to the societal circumstances that helped to create these situations, and how you might unintentionally be supporting that very system? It’s actually what led Marvin Wadlow and I to launch The Table Setters, a non-profit dedicated to creating face-to-face discussions around these kinds of issues, and thankfully, enough of those mission trip leaders recognized the need to dig deeper within their churches and schools to help us get started. But we certainly have a long way to go. I, too, certainly have a long way to go in dismantling my own tendencies and biases. How do we live into the dream of a diverse sisterhood, a vibrant brotherhood, a people recognizing their shared humanity? Again, I turn back to Dr. King’s letter, where he provides touchstones in the work towards true peace and justice: after deeply listening to people when they express their pain and recognizing that injustice is truly alive, (and I would add making it our default to TRUST those lived experiences), after recognizing that attempts at negotiation are impossibly incomplete when there is not equal representation of power at the table, when the people who are most impacted by the decision about to be made are not allowed to have a say in what’s about to happen, after all this work has been done, we must also recognize that non-violent direct action is a critical next step. He writes, “Non-violent direct action seeks to establish a creative tension that a community that has consistently refused to negotiate is forced to confront the issue. Friends: where can we build upon this creative tension today? What issues need to be confronted? Where do we know injustice exists, and are we willing to at least risk our reputations to point it out? Or better put, as the Reverend Denise Anderson, former moderator of the Presbyterian Church of the USA, charged the Presbytery of Detroit yesterday after reminding us that Rosa Parks craved justice so much she put her livelihood on the line, "What do you crave so much that you are willing to risk your comfort, your privilege, your esteem, your very lives for it to come to fruition?" How can people like myself, who have never had to endure losing a family member to an act of racial or religious hatred in our lifetimes, step into this tension as trusted allies? Not as a savior, not as merely a supporter, but as a person who deeply believes that any act of injustice on any one person is a threat to justice everywhere? During one large church group that Marvin and I got to work with from Littleton, Colorado, some of the teens opened up about how incensed they were that, when yet another school shooting happens in a mostly white suburban area, some reporter always says, “they never thought it would happen in a peaceful place like this.” These young people blew me away by seeming to intrinsically understand that injustice and danger can lurk anywhere and articulated a sense that a society that can degrade any group of people actually sets into motion a cycle of dehumanization that can lead to all kinds of terrors for everyone. I believe Dr. King prophetically, and now I am using the term more in the lines of forecasting, I believe he may have imagined some of the nightmare scenarios we are experiencing in today’s headlines. After all, how can we truly be a free people if we can also recognize that some people are “more free” than others? That’s not freedom at all, it’s not true peace, and we have to combat this lack of equity now more than ever. So let’s imagine 2019 as a year of building up what King called, “creative tension.” A year to out-create the hate that is floating all around us, too often punctuating our airwaves and eardrums. May we actively step into a way of being that is more courageous than cautious, may we recognize that waiting for the next Martin Luther King Jr. to arrive on the scene may be prolonging the “wait” towards “never”, and may we recognize that we’ve always had everything we need to bend history towards justice. We have ears. We have hearts. We have hands. We have feet. We have voices and votes and bodies to walk alongside in this work towards real freedom. It’s how we use all our gifts that reveal the true contents of our characters. 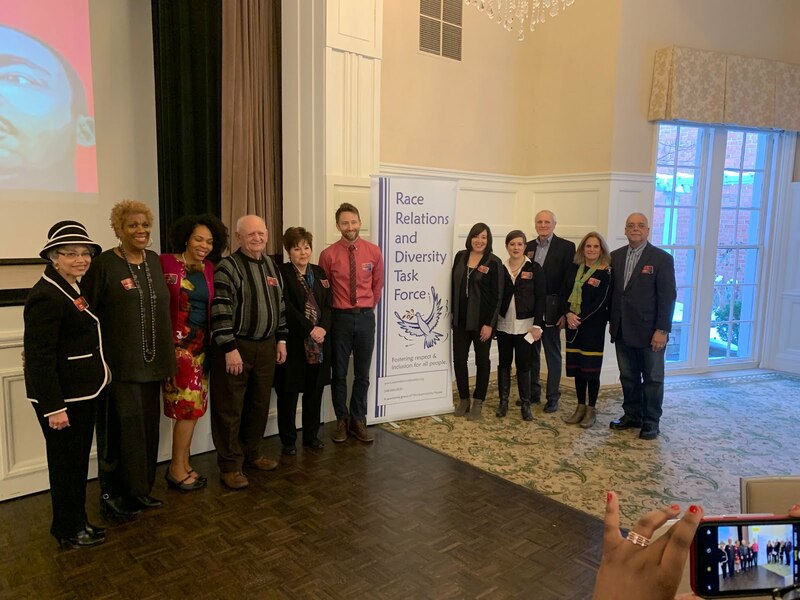 The Race Relations and Diversity Task Force of Birmingham.